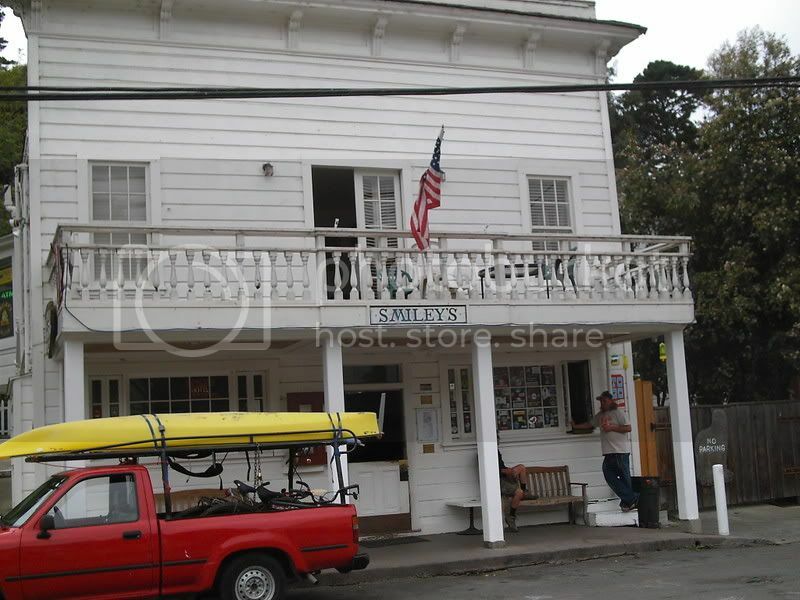 and for a modern historical background enjoy reading Bolinas 2miles. 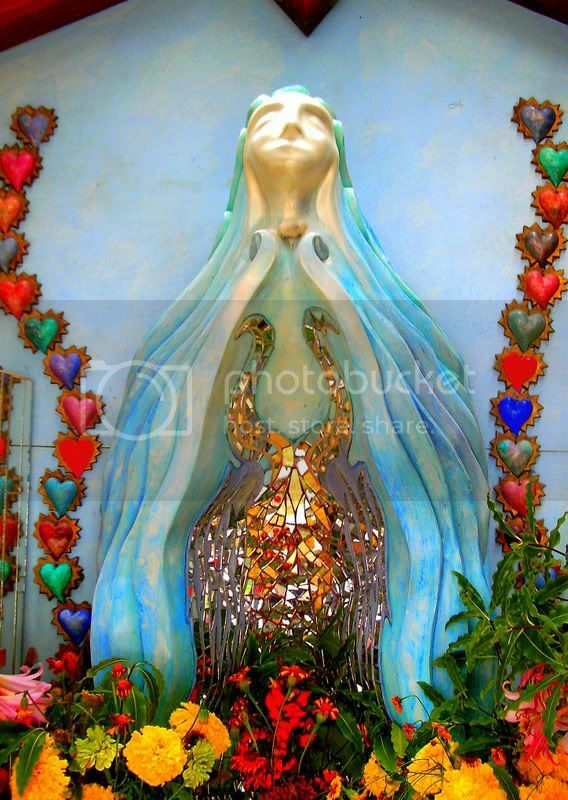 Well the devoted citizens lit candles and prayed that Our Lady of Bolinas would intercede and keep Bolinas Martha free. As my mother use to say 'never underestimate the power of prayer son'. Those shadows are unfortunate however it does reflect RanchoBozo.com's easy going homemade look and feel. 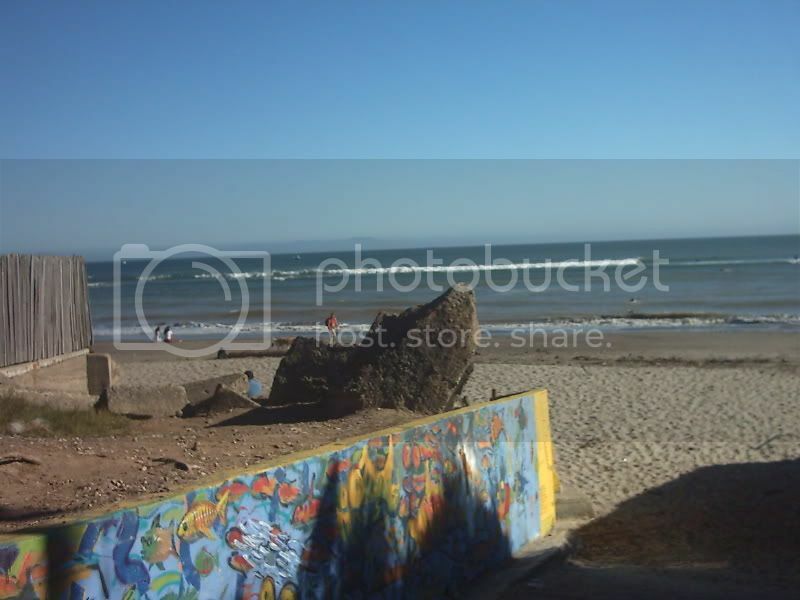 A colorful public access to one of Marin's best beaches. 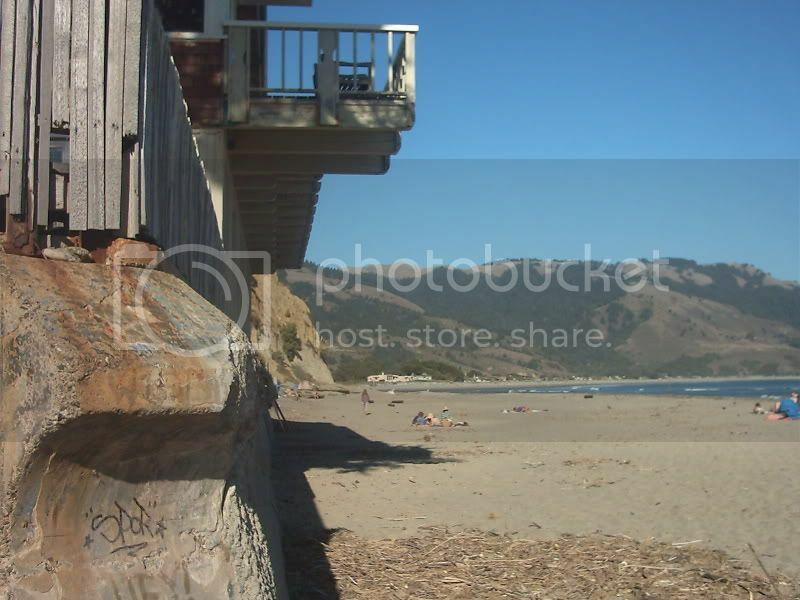 California's amazing weather can provide excellent beach days any month of the year (not a huge amount but execellent none the less). Planet of the apes . . . of course . . . naked apes . 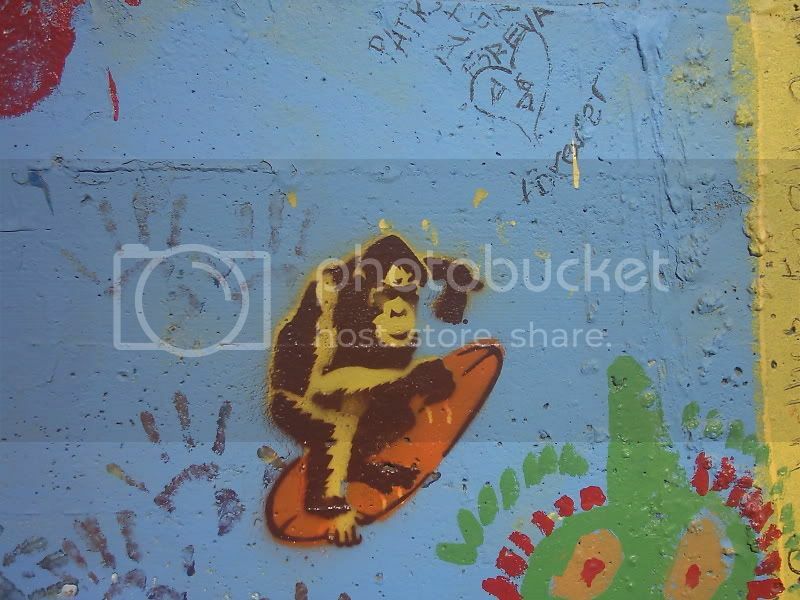 . . simian surfer culture . . . watch competitive wave action from the shore . . . monkey see . . .
We search for meaning . . . ever wondered how the expression off the wall originated? . . . well have you? 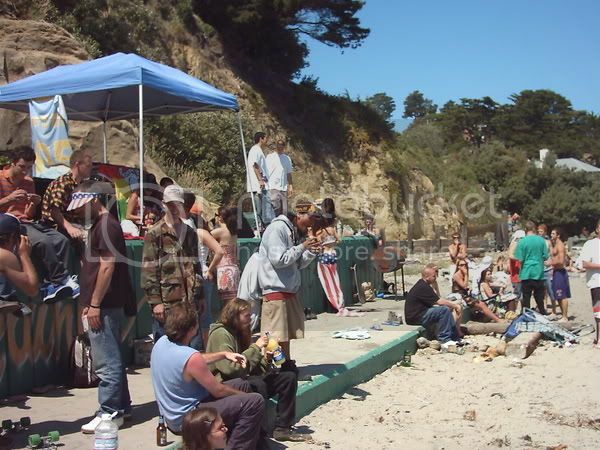 The Fourth of July 2005 Bolinas California . . . The ribbons flutter in the breeze the flimsiest of all home made floats . 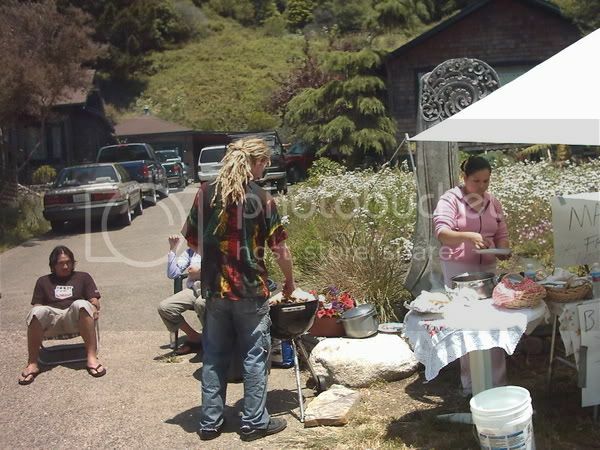 . . the fourth of July the revolution was fought we the hippies won we keep Bolinas the home of the free . . . you keep the rest . . .
White Rasta dude Qs grinds for a red white and blue day mon . . . 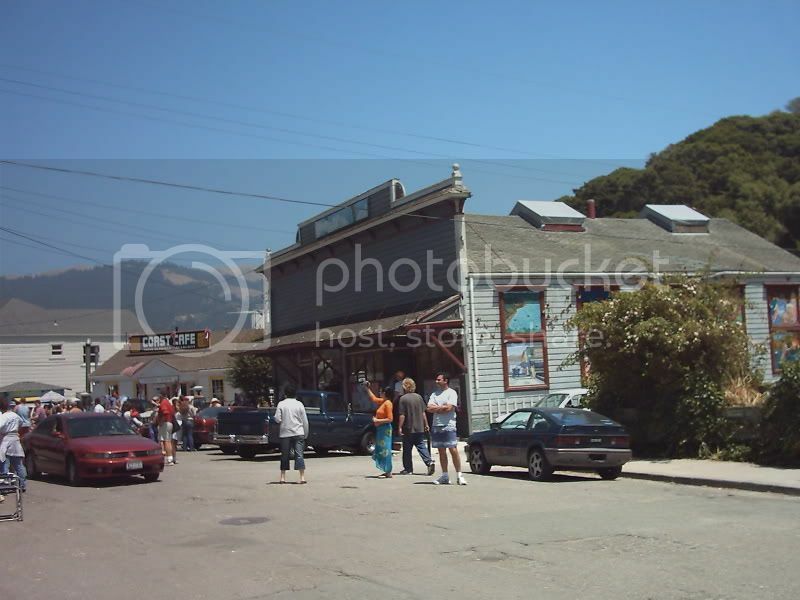 The Bolinas General Store takes you back in time . 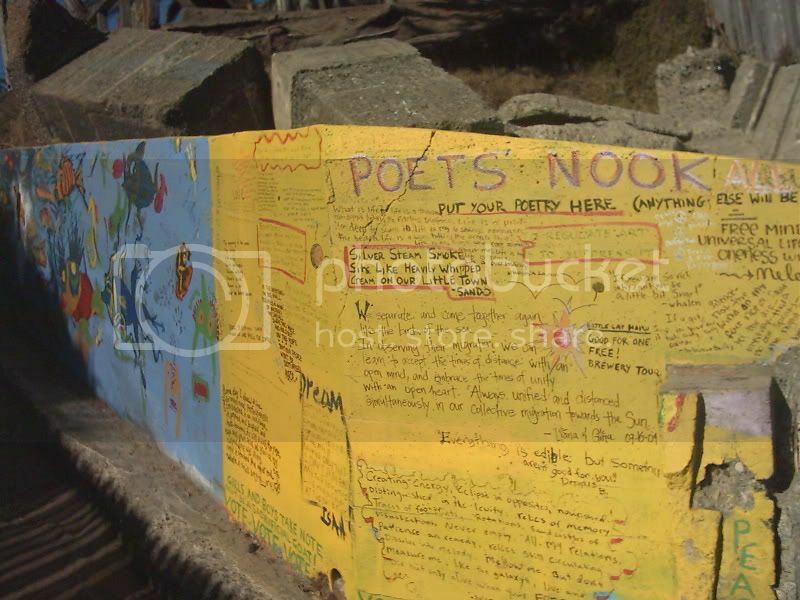 . . wooden side walks and the most amazing posting wall in Marin County . . . 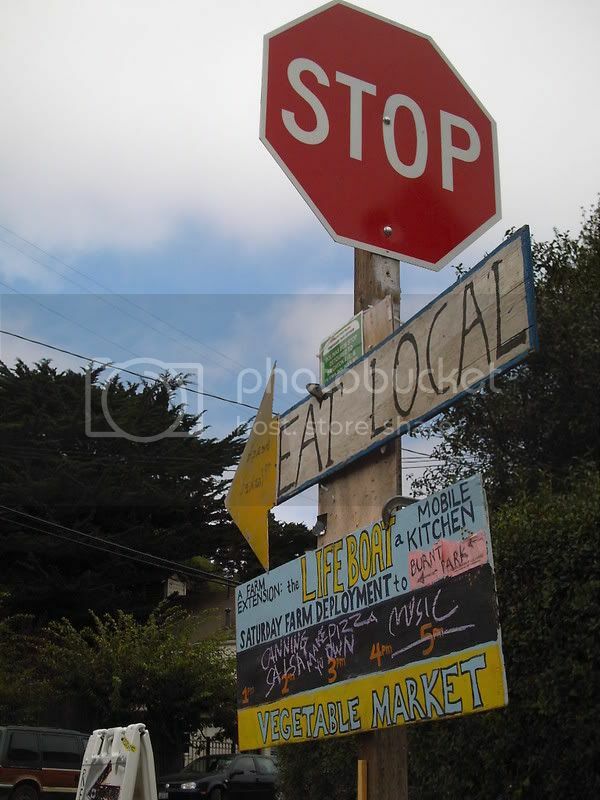 The think global act local is a sustainable life way for many Bolinas residents and of course businesses rely on the few tourists that can find this bohemian California coastal hamlet. Smiley's like a town hall for the rest of us. They even have an open mic. 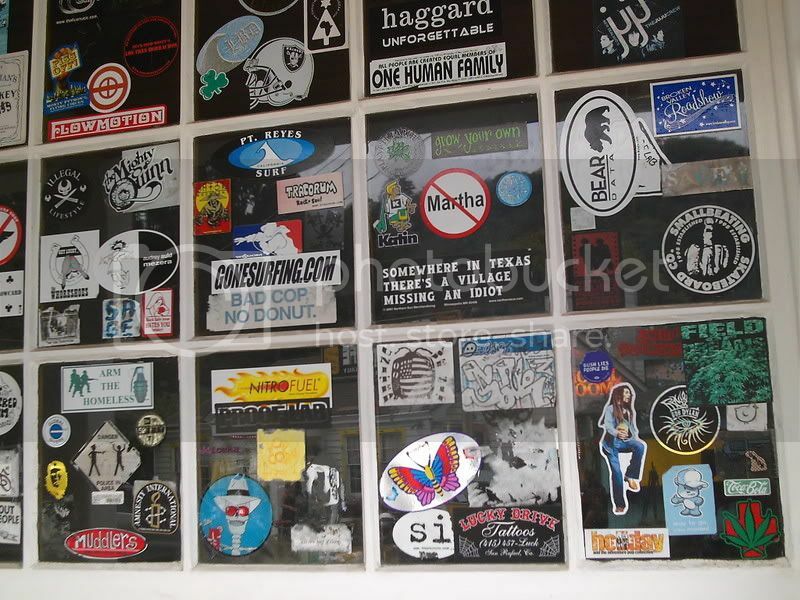 Smiley's window sports a collection of stickers that reflect the varied mindset of Bolinas, California. Here's the side of the general store . 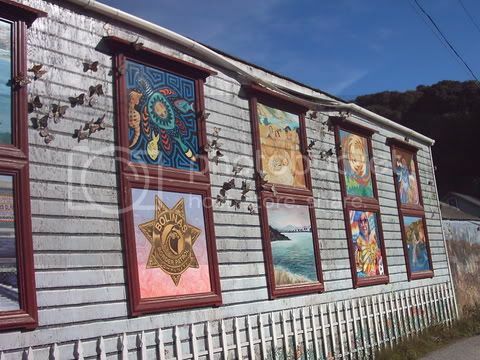 . . notice the quail crest the symbol of the Bolinas Boarder Patrol . 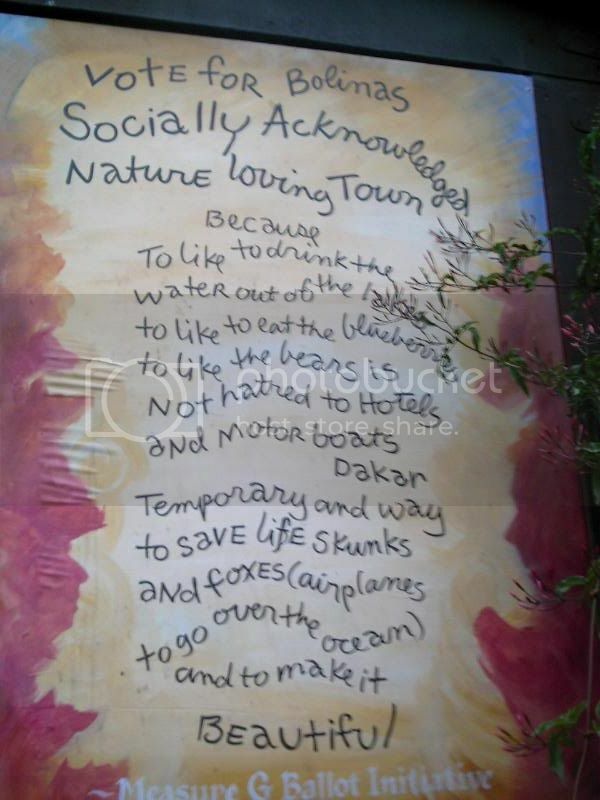 . . keeping Bolinas the land of the free . 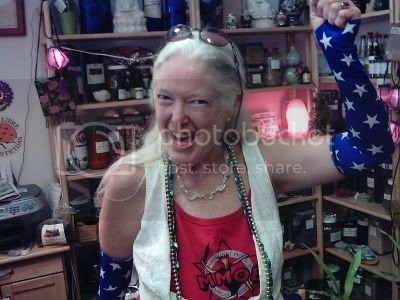 . .
Judith is an amazing deva of herbs, potions, and ancient hippy cures. Judith provides expert advice with all her offerings. 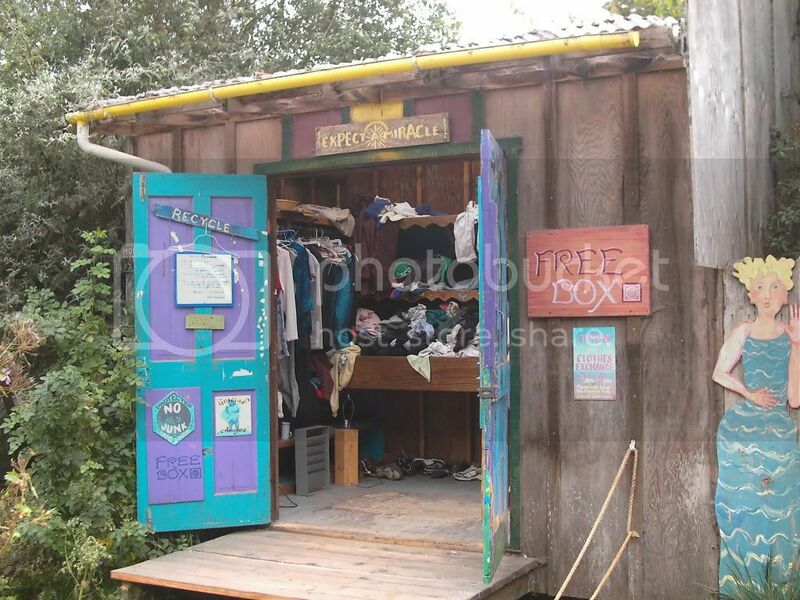 Her popular little shop contributes greatly to the well being and general theme of the community of Bolinas, California . 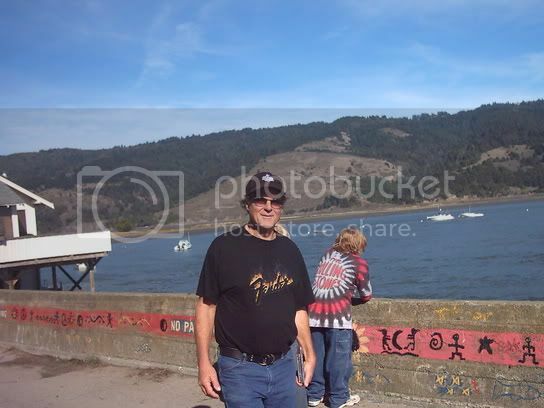 . .
Bolinas is the land of the free . . . in each and every way. 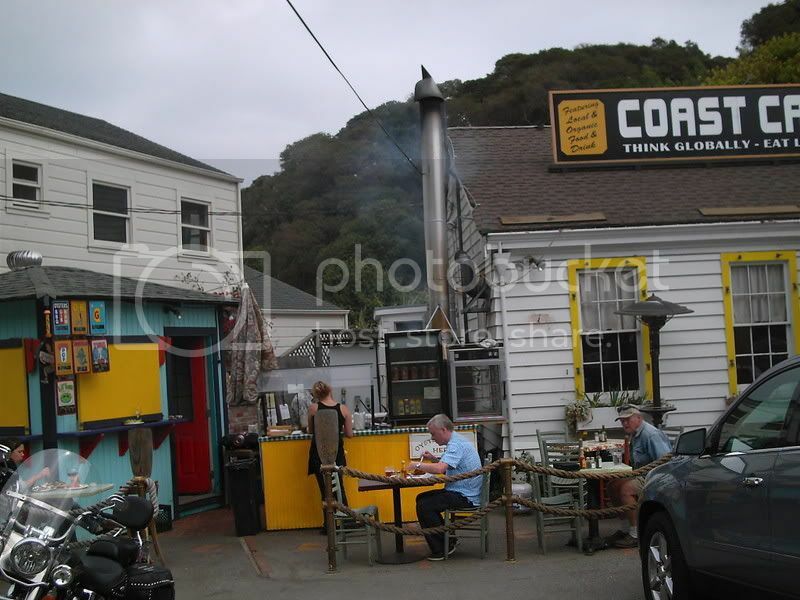 The "campers" are another part of Bolinas. Nick and his guitar playing son (with his back conveniently turned) to reveal their destiny that evening help fill SBC park and coffers for the World's Greatest Rock and Roll Band.